Get the book that has helped thousands of parents around the world end their child’s dependance on diapers earlier. 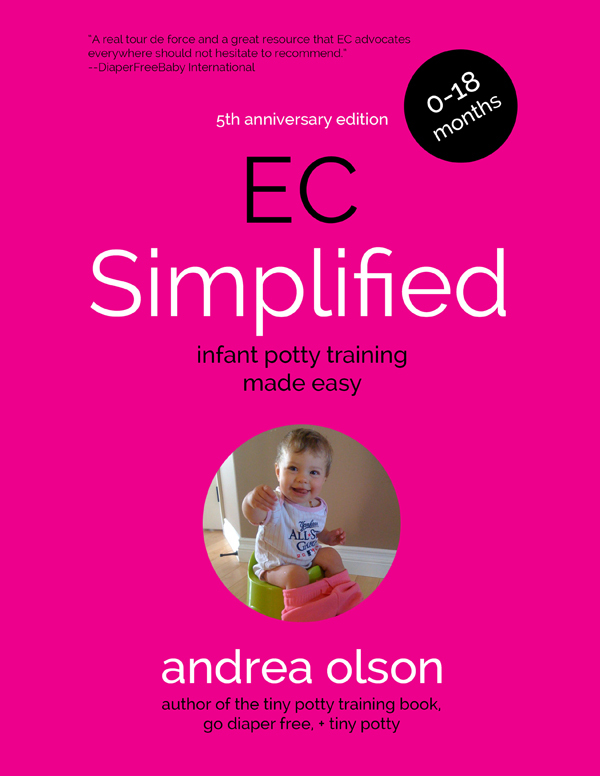 The EC Simplified book is a comprehensive resource for starting, practicing, and completing Elimination Communication with babies 0-18 months. The book simplifies the infant potty training process into a step-by-step guide with special attention to mobile babies and young toddlers. All formats come with free access to the members area of this website at GoDiaperFree.com and the new audiobook is included with the Packages only.